This provides my current thinking for coming price movements for Electroneum (ETN), which is a crypto currency traded on Cryptopia. During my prayer time yesterday, I saw a graph of ETN gradually dropping down to 33 cents. There were more numbers beyond the 2nd decimal, but I did not see what they were. The only price I saw was 33 cents, but based on the line graph, I could tell it had been much higher, probably in the 50 or 60 cent range. Seeing the graph provided some context for the sequence of price movements because on December 19, I saw a price of 66 cents, but I did not know which coin. A week later, after reading Jim Reeve’s interpretation of the 7.5% and 13 numbers I saw, I realized 66 cents was likely ETN, as almost everything I have seen in crypto currencies has been. Seeing the graph today confirms to me 66 cents was Electroneum since the graph showed the price had been much higher before dropping to 33 cents, which tells me to sell at 66 cents because the price will drop to at least to 33 cents, which is interesting because technical analysts have identified 50% price retraces are common patterns. Christopher Harris’ dream on December 21 regarding the third wave was also helpful in identifying the pattern. Regarding the timing of the crash of the third wave, the best clue I’ve heard so far is CPJ’s dream on December 26 when she saw the lowest point between two mountains at $1995 as the Predictor. Jim Reeve interpreted that as Bitcoin crashing to $1995 and that sounds right to me. Bitcoin is currently at $15,020, so that would be a huge 87% drop, which would likely drag down many other crypto currencies with it, including to some extent ETN. So, I think that’s when we’ll see ETN dropping into the 3 to 5 cent range. A big question is when does ETN reach 66 cents, before or after the crash of the third wave? I think it’s after the crash for two reasons. First, it seems meaningless to highlight 33 cents if the price is going to continue dropping all the way to 3 cents. Second, dropping from 66 cents to 3 cents would be a 95% drop, which would be as big or bigger than Bitcoin’s drop, which would contradict a dream received on December 27 by Z3er Lucy in which she heard people talking about how ETN is an excellent hedge fund. She admitted she didn’t even know the meaning of the term, but when applied to Electroneum it implies the price does not drop as fast as other crypto currencies when Bitcoin drops. However, my assumptions about the sequence could be wrong because it is based on incomplete information and I have not seen how it all fits together. One way we’ll know for sure is when the price reaches 66 cents because by then we’ll have the benefit of hindsight to know whether it has already dropped to the 3 to 5 range. If it has, then 33 cents would likely be the best re-entry point after selling at 66 cents. Regarding the sequence of other prices, I am still wrestling with why I saw a range from 7.5% on the left side to 13 on the right side. When I saw it, I immediately thought it was a price range from 7.5 cents to 13 cents, so for now I am holding onto that interpretation, even though the price dropped to 6.8 cents last week. That wasn’t enough to make me change my thinking because the numbers God has revealed in the past have not shown precise turning points. For example, on December 20, I saw the price going up to 11.8 cents, which was fulfilled the next day when the price went up to 12.3 cents before turning back down. So, if the price remains in the current range and climbs up to 13 cents, I will sell there. Technical analysis confirms 13 cents is the 100% level for the one month Fibonacci chart. So, if the price goes up to 13 cents from here, I think that would complete the first wave. Separately, on December 28, I saw 5.17 in a bold black font. Then a little while later, I saw 16.3819. I think 5.17 could be the bottom of the crash of the first wave with 16.3819 being close to the top of the second wave. In a dream on December 21, I saw the price at 17 cents, which I think confirms 16.3819. Also, the next Fibonacci level after 13 cents at 100% would be 18.1 cents at 161.8%, which confirms the likelihood of a turning point in the 16 to 18 cent range. These assumptions might be wrong because they’re based on limited information, but if those are the correct turning points for the first and second waves, they would be followed by the crash of the second wave and top of the third wave at unidentified prices, followed by the crash of the third wave at close to 3 cents. Given the high degree of difficulty in identifying these turns, getting in and out at the right points will be challenging. An alternative approach is to just buy now and hold on until it reaches 66 cents. Since the current price is at 8.7 cents, we’re a lot closer to the bottom now than the top, so buying and holding would produce a return of 7.5 times the initial investment, which would be increased by buying more coins after the price drops into the 3 to 5 cent range. Another approach is to wait on the sidelines until the price hits bottom. Regarding the $62.25 price I saw for Electroneum in a dream on December 17, I think all these other moves happen first. I was not shown any dates. As always, this is not a recommendation for investing. I had found in February 2017 the Lord leading me to really look into all of this Crypto stuff and in the end I became quite an expert, not perfect by any means but pretty well versed. In August I decided to start my first jaunt into this and bought my first bitcoin. Buying a bit every month and as well some Ether. 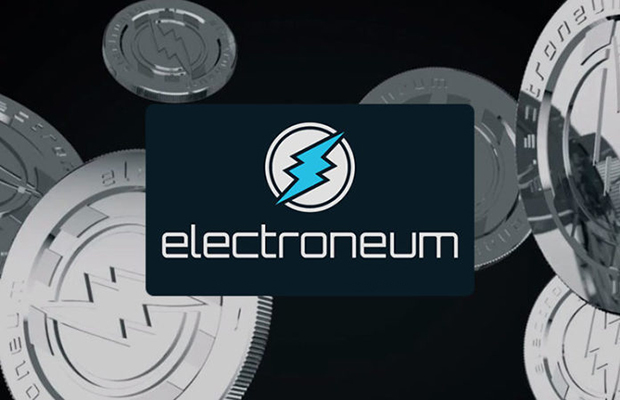 In the end, I found when the peace of this Electroneum topic came up I had already had a great gift of growth of my bitcoins and Ether and have taken the steps to follow this. One thing I would stress to everybody, while unless you are an expert in this area the best step is really a buy and hold strategy. Or a buy, and if it goes down buy more. I can say while I’ve been blessed with my trades on Cryptopia in fact, things don’t move so quickly and you really want to count the speed to which you can come in and out. Ultimately, unless you are trading BTC/ETN also the volume is a lot lower, I tend to go for LTC because the fees are lower but there is in fact lower volumns so trades take sometimes much longer to get into and out of. Also, keep in mind reading some of the other messages. Cryptopia has a first level verification level of only $5000 NZD withdraw. So given the dream about having a circular plan on exiting. You will probably want to get to level 2 verification which then brings the daily limit to $50,000 NZD. Which is about $35k USD. These are just some thoughts to share. Also to note. I have done a deep, deep analysis on all the Crypto Exchanges the top 20 and the top Alt-coin exchanges. What I found and I wanted to share is ultimately the best of the best when it comes to getting Fiat currency into the system and getting it out….if you need to is this one https://quoinex.com/ it is a Japanese company but with the specific office in Singapore. They are open to all countries except three and no problem for American’s. The key about this one is they have if one needs it, the ability to withdraw up to $100,000 a day on a verified account. And they have very, very reasonable fees on deposits and withdraws. As was mentioned before, planning an exit strategy and quite frankly the results show especially with all of these ICO’s raising Ether, its actually harder to get crypto back into fiat for daily needs than one expects! So Quoinex is a good option. Jamie. I’m looking for just one missing step. An ability to turn crypto back into fiat, but not having to move the fiat back into the banking system. Rather, having a debit or credit card attached to (any major) fiat where it lies, without having to bring it back into formal (US) jurisdiction. It would be something like a crypto bank with multiple jurisdictional licenses, with exchange capabilities. I’d just move crypto sums from my private wallets into the bank, convert to my chosen fiat, then have spending power off that balance. I’m sure there are huge regulatory hurdles because governments and banks would strenuously oppose this. However, it it existed one would have instant mobility and flexibility, with soft jurisdictional capture. It would allow simple folk to do what wealthy folk do, which is move money into other jurisdictions and currencies. The ability to move into something other than US dollars will be important in the future. Crypto’s would allow us to exchange seamlessly, and potentially, painlessly, even if there were reporting requirements. JR. Thanks JEMBA, good stuff. I do see the PM door as a possibility. On second thought, the ultimate will be crypto exchange for assets besides PM outside the government/banking system. There are some who have bought real estate with bitcoin. It will be far easier for that to happen when entire monetary system collapse but I think we are a long ways from that. That’s another way to avoid worrying about the banks or taxes. As a christian, I’m obviously not for tax evasion or breaking the law but rather taking full advantage of what the law requires. Currently, its not illegal for tax free asset to asset transfer :). Its only after we convert crypto to fiat and transfer it bank to our bank accounts that uncle sam comes calling …. Excellent point, Jemba. Your strategy is similar to the 1031 exchange in real estate. Most people involved in crypto’s aren’t considering the tax implications, and will likely get blindsided by a major tax bill at some point down the road. Another important point to consider is that you will need to find a CPA that understands the tax laws as they pertain to cryptos. Many do not. With that said, if you do the math and compare what you would be paying in short-term capital gains (most of us will probably hold our positions for less than a year) vs. the premium you would be paying on physical gold/silver bullion when you decide to unload your crypto positions, the difference can be in the tens–if not hundred–of thousands of dollars. And just to clarify, when you buy physical bullion, you have to pay a premium over the spot price. When you sell it back to convert to fiat, most PM dealers buy back at spot (or spot +1% for certain coins). I think: http://www.goldmoney.com is a great solution. Overall, since I am in Europe I have a lot of options of new fintech challenger banks. But I’ve yet to feel comfortable opening an account with them. I would suggest ask and pray what the Lord thinks about Worldcore and if it is something to consider. But it does seem to be one that also had a pretty successful ICO. So it could be an option. Cheers. Jamie thanks for al your expert input but to all Americans I offer you a caution on using any bank overseas. If a bank overseas is willing to go through all bureaucracy and hassle to take an American they will require you to fill out FACTA info. FACTA will require you to give bank your ssn. I have lived overseas past 10 years and altogether maybe 20 years. I don’t think for one minute your ssn will be secure with an overseas bank. If Target stores can’t secure their customer’s credit card info, equifax can’t secure American credit rating info on its site (name, ssn, address) and even former CIA directors, John Brennan email’s hacked–no overseas bank is going to be able to secure your ssn and there is a high probabiliy I think that it will be stolen and sold to someone in Pakistan to steal your identity. I don’t mind giving my ssn to my employer but to a foreign bank? As Americans we tend to be trusting and naive and Only Congress could pass such a law to set it own citizens up for identity theft. Overall, for me personally I have found UQuid to be the most diverse in that you can get a good bank card connected to even alt-coins. Like ether, Litecoin, Bitcoin etc but I’m not sure they accept American’s. Shakepay is also an interesting company in Canada but again, not sure they take American’s. Also interesting that I find is http://www.coinsbank.com based in Scotland. The challenge I think is for American’s as a whole. Many providers even today to not issue bank connected cards to Americans. Here you have to check who they allow. Bitpay might be one for you in America if that is where you are based? But I know many are only now releasing their tokens and not sure if they are really running yet fully. That’s about all I can offer at the moment from my research. Next step is to understand your country your in and which accept you and which don’t. In Europe, quite frankly there are a lot more options than what American’s and the rest of the world get. Hi Jamie, thanks for all the helpful info. A few of us are thinking the same – I mailed James yesterday my thoughts and concerns after 6mths in the space (like you), for circulation or not, at his discretion. NB!! Nearly all prepay crypto cards are issued by Wavecrest in Gibraltar and they’ve just been shut down by Visa. BitWala and TenX (PAY token) have emailed me today saying they’re figuring out what to do about it. PS Coinsbank in Scotland do look interesting, as you say, but Wavecrest is their card issuer too. I think this is going to be our issue – everyone heading for the exits at the same time, with low level 1 limits on the exchanges and few/ no other options. Probably wise to register for several exchanges in several countries and try for at least level 2 at each. Also, not leaning on our own understanding. If the Lord is happy we’re in this for his wider kingdom purposes he will be pleased to secure our exit. I would like to thank everyone who has been giving info in regards to the cryptos. You guys have really been helpful! Ok. Now back to your dilemma Jim. Somehow, I came upon the revelation that there are bitcoin ATM’s all over the world! I was looking at the opposite problem of converting liquidity into bitcoins. I just checked and there are some machines which distribute fiat for your bitcoins. I hope that this information helps you. There are maps of bitcoin atm’s in your city but you have to check which model is at which location. I would also advise getting familiar with the usage of them before you drive to your destination. Thanks for this info Christy. Very valuable. Similar issues in Australia. Authorities track even a $10k move of funds. Between accounts. Mark of the beast system controllers will certainly want all worldwide peoples trading in THEIR 666 system. Attempts in future are will be made to close all loopholes with cryptos I’m sure. Christians need to be 4 steps ahead. I would really appreciate some direction as how to move the ETN LTC back. I bought with credit card, so does the profit go back on that? What if it’s more than my limit? For sure confused. Mary are you asking how to sell ETN in LTC on Cryptopia, then getting your LTC back to CoinBase? From coinbase to credit card? Maybe I have to attach bank to it to get real money back in hand? No worries. I’ll did for answers tomorrow. Thanks Jamie for all the info ! God bless you ! Thanks for all your great input. Re https://quoinex.com/ Just attempted to set up account with them and was denied, stating this service “not available for your country of residence” (USA). You think this might be because I was setting up a personal acct vs corporate? I know you said they were open to Americans, so that’s all I can deduce by the denial. Thanks. I had thought it was open to American’s as I never found any statement in their FAQ on this? But I guess I was wrong. Sems these days it sure is tough being an American 😝. Hey Jemba. Wanted to thank you for sharing your CPA-wife’s awesom nugget that there are no taxes when converting cryptos to precious metals.Asset to asset. Now if I can just find out how and where to do that and actually take possession of the PMs that’d be sweet. Goldmoney.com, direct Bitcoin to gold sales. You can also receive gold and silver with bitcoin payment of up to $250,000 worth and 3% discount at jm bullion. From what I could gather from goldmoney.com, you need to fund a goldmoney account linked to a bank account using fiat currency. Then you can buy their bitcoin. You cannot pay directly from your bitcoin wallet to a goldmoney wallet. You cannot withdraw bitcoin directly from your goldmoney wallet. There are multiple fees along the way to get money or bullion out. If you know differently, please comment. “Can I send cryptocurrency to my Goldmoney Holding? CPJ. I recommend that you do a little research on that one before employing it. The latest tax bill put on some new restrictions with regard to like kind exchanges. Ok, thanks Jim. [you, too, Matt] I’m not trying to evade taxes, just avoid them legally, and am actually much more interested these days in nailing down a sound circuitous exit strategy that has wisely been mentioned on here, as truly my main concern is how to safely get these cryptos out of the exchanges/a wallet and into real spending money. I look forward to the Lord revealing His plan for that. CPJ. No, I get that. The new law is requiring me to change my record keeping so that my coin for coin exchanges now recognize gains and losses. It is more involved. I think we have some time to figure out the “circuitous route”. I just tried signing up for the exchange and its not open to folks who are residents in the U.S.. Doesn’t surprise me. As I mentioned before, US govt requires tons more paper work for financial institutions who work with Americans so many just decide its not worth it givens there’s billions of dollars in business from many other countries besides the U.S. Thanks for this recommended site Jamie. I have bookmarked it and will be checking it out soon. Hey James do you recommend keeping your ETN on cryptopia? That is a great value proposition. One of the reasons I didn’t want to move all my COB to Cobinhood even though they were offering free CMT is because of the tight restrictions on how much you can withdraw in a month. When the crash is pending or beginning, the flexibility to liquidate is definitely paramount. Good find Jamie! $ 15,000 daily for fiat up to $ 200,000 per month and up to $ 1 million per month in cryptos. I have level 1 and I am now waiting for level 2 approval. I think the best is to diversify, meaning having cryptos in different exchanges so that you can move rapidly in time of crash with different exchanges at the same time (withdrawing cryptos and fiat simultaneously through separate exchanges) and thus increasing your total withdrawal limit. I think Cob is heading to about $1.24 with this current move up and may finish above $2 for this cycle after a retracement below $1. Good opportunities for profit taking. Phanuel, you were right on for Lisk and Solaris. As of now lisk is at about 29.00 and Solaris around 46.00. Of the two which would you suggest going in on right now at these prices? Did you see a peak range on either of these and if so can you share your thoughts? Thank you so much sharing what God has shown you! Marnie is right .., I missed this. I believe both at the same time. I only trade what the Lord reveals. If the Lord reveals it … my take is it has to be important. LSK is to ETh, Solaris is too Dash/Zcash, LTC is to BTC, COB is to Binance. This is a wealth transfer. They are all still very cheap. Thank you so much Phanuel for the clarification!! Much appreciated my brother!! I think you commented yesterday about losing some ETH in a failed smart contract transfer from Bitstamp to Bitfinex (I can’t find it now). There are some panicky cries for help on Reddit where this also happened to others sending from Bitstamp to Bittrex and HitBTC. It seems they got their ETH back after 7-12 days (one guy lost and got back 15). I would check both exchanges regularly as the support function seems unavailable. PS when I typed my reply last night – which disappeared when I hit send – I added that if they don’t turn up let me know and I will share with you the free CMT which Cobinhood kindly gave me recently for leaving my COBs on their exchange overnight – the offer still stands. Good question Casey. I think Phanuel didn’t see your comment/ question or he would have responded. I’ve tried to transfer a small amount of COB to Cobinhood (practice run) and it’s been pending for 30 mins. Do you have any insight from your experience on length of time for deposit to appear on Cobinhood? I’ve read several articles and the general term is it, “varies” based on “busy-ness” and amount of gas. I used 40 Gwei from MEW to Cobinhood this time. I’m really trying to get a sense for all this. It depends on the eth network. For instance yesterday it took over 10 hours for me to see my ETh I transferred to Cryptopia ( to purchase some BTA). Fortunately I was still able to get in at .59 cents. This is why other projects like LSK have potential. In our immediate gratification world we live in…waiting a, “long” time until transaction is confirmed will certainly take some getting used to. I’m certain there is a spiritual lesson in that too. I need to get a better understanding of the “gas” used…I’ve had some transactions cancelled due to running out of gas. So many instruction videos…so little time! I’m wondering if there is a basic instructional class on navigating the crypto world. sometimes transactions only take a few seconds. Check the amount of gas needed here. This tells you how much gas you need and how long it takes to complete the transaction. I’ve tried to send COB tokens from MEW to Cobinhood exchange and continually get a tx failed, “ran out of gas” message. I’ve used the numbers from ethgas (actually a bit higher). I’ve read up on gas and watched a video and it “appears” that I’m following the instruction….not sure where I’m missing it. Recent tx scenario- tried to send 3000 COB from MEW to Cobinhood. At the time I looked at ethgas…it suggested 50 Gwei, so I actually put in 60. Standard gas limit was 21000. When I pressed to send transaction, I received a message that read gas limit not high enough you need 23256 to complete transaction. I upped the gas list to the suggested amount and tried again. It accepted the transaction, but then failed. Cause…”ran out of gas”. Not sure how this will format on the site, but attempting to paste the screen shot. I’ve tried this a few times with same result, so clearly I’m missing something obvious. Hi Tom, looks like you don’t have enough gas in your wallet. You have to make sure you have enough ETH in your wallet for the processing of your transactions. .look at your ‘Balance screen’ at the bottom you will see ETH and under wallet you should have at least 0.15 ETH balance to pay for your transactions. you can check out this video onhow to use etherdelta. He has plenty of Ether for gas (I looked at the transaction). The Ethereum network has a lot of problems. TomP, you may have to increase the Gwei to 70. If I were you I will wait it out. Phanuel,Totally agree with ethereum network issues. Took me 40 hours to transfer eTH back to btcmarkets. I thought I lost them. Thanks…I looked up the transaction cost and it should only be in the $1.6-$2 range depending on the gwei/gas amounts used. The 0.145194228 ETH I have in MEW translates to $140+ so should have been enough to cover the transfer. Regardless, I did transfer some additional ETH in there to make sure it was above to .15 that Sonia suggested to make sure….but then received a pop up note from Coinbase that they are also way behind and transactions will take awhile. Maybe the Coinbase backlog will give time for the ethereum network time to calm down. Thanks to everyone for the advice! Blessings! Thanks…checking into that. My ETH is, 0.145194228 ETH. That’s more than enough TomP. Success Phanuel….transaction successful…just waiting for it to appear on Cobinhood. Just saw this TomP. Happened to me yesterday – tried sending lots of gas to see what happened but it wasn’t that. Worked out eventually. Phanuel’s right about system being clogged – might still be those cats?! The LSK block chain is very fast … I was able to transfer back and forth in like 30sec. Eth is in trouble when more people find this out. Trading with/thru Ether is very time consuming and frustrating. Don’t get me started on Etherdelta….you can get hypnotized watching the buffer symbols spin round and round and round…. I received an email confirmation from Cobinhood that it is now “successfully funded”. It certainly does make you wonder what is going to happen when it gets really busy in the future!? You did it correctly. The system is clogged. I would wait a little and try again. Or try a different node on Mew… like the etherscan node. Thanks…that is both good and bad news, but willingly accepted. I’ll need to look up/study how to switch nodes…not familiar with that practice. I am 0 for 5 on trying to move tokens so far today……I won’t make the lineup if I can’t get get my batting average up. Blessings and thanks again for the assist! Would you say that cobinhood exchange is the best place to trade COB? I would use both options. I have gotten fantastic deals on Etherdelta. On the next dip put in seriously low ball buy orders, more than likely they will fill. I landed a trade at .115 when the going price was about .16. Also a good idea is to place a sell order in at 100%. I did not have an open sell order on the last spike, but it would have filled. Lesson learned. Looks like it is happening. Cob just exploded. Have you investigated the Bithumb exchange? For selling….they seem to have some of the highest prices for coins they offer. Both Bittrex and Binance are still overwhelmed and cannot accept new registrations at this point. I haven’t used Bithumb yet. The Cob exchange is coming along nicely though. Not sure how long Binance and Bittrex will be closed for new registrations and was searching around for alternatives in the meantime. I am set up on Cobinhood but they do not have all the coins I was looking at as of yet. Presently, I don’t have access to LSK as I’m lacking access to an exchange to trade on so I need to find another coin to invest in. My big decision now is to decide whether or not to hold my LTC or convert them to other alt coins. Revelation seems to point that LTC will move up……but, it may only be a 3-4x vs other coins presumed moving at a much higher multiple. This is not a greed issue…just want to make a wise decision. Likely will hold half LTC and invest other half when I decide on a coin. Hold your LTC … it will ramp up soon. Casey, good call on XRP, it’s down 50% from 8th January. Thanks for that confirmation…I’ve decided to stick with LTC longterm (unless otherwise directed). Phanuel, have you had/heard of issues with COB not reflecting the correct USD amount in FUNDS. I am a bit concerned my amount does not reflect the correct USD value. Have tried reaching out for support. Thanks Sonia. Diversification of exchanges looks like the key lesson to maximize withdrawals. If the dream that was shared in the other link is literal; in 32 exchanges going down overnight, then the bigger lesson is withdrawal before the crash. JR always says that we haven’t been good so far with our ‘timing’ the crash and he’s correct, but I’m believing the grace of God will be there for us and not see many lose their holdings. I keep remembering the 3 wise men who laid their treasure at the feet of Jesus for His use and were then warned in a dream before Herod found them. I believe the Spirit will guide and warn us when it is time to leave secretly. I suspect it will be before the main mass exodus. The only word in the English language ending -roneum is Matroneum, meaning a gallery set aside for women. Does this make Electroneum a gallery set aside for the Church? ELECT-roneum…a place set aside for the elect! That is an awesome find! Love it! Amen. It’s like a test of our faith whether we believe the Lord will lead us this far and allow us to be destroyed by the ‘Amalekites’ before reaching the promise land. Trusting the Lord is definitely a process and not something we can take a magical pill for. By the way, did you know in none of the 4 gospels does the bible ever mention how many wise men actually came to see Jesus? I came across that in one of my studies and wondered why we’ve been taught that all our lives in church 🙂 . But yes, point well noted. Blessings sister. One of the most important ETN posts we’ve had. Thanks CB. JR.
Just before reading your post Christine, I opened a bottle of fresh olive oil. It is so different to commercial olive oil, as it is raw and unfiltered, that I felt compelled to read your website, which is mighty interesting. Thanks, Cornelius. May you be blessed by what you read there. Interesting. We have had a word already for Shevat. Nisan begins March 17, but between Shevat and Nisan is Adar, the last month of the year. Just wondering if the extra month is then denoted by Adar? Yes Jemba I totally agree. The grace of the Lord will be there … as we walk with Him He will be faithful to show us the way and when it is time to sell. Is anyone else having verification problems on Coinbase? Is there a better alternative please? what is involved in level 2 verification? Hi Taj, honestly I wouldn’t see this changing with market cap. The exchange puts their own rules in no matter what kind of coin you are trading or the limits to that. It is a kind of KYC. Ultimately, you want larger daily withdraw rates you need to go through the levels of verification. With Cryptopia that means at least level 2 by providing ID and address. If say you had 30,000 ETN and it goes up to $60 and you have sold it all for say Lightcoin. Then your going to have probably 30 days of doing 5000 NZD limits so really is best to upgrade verification and at this moment, ETN is only on Cryptopia. So you have limited options there. How do you upgrade your account to level 2? Each exchange is formatted differently, but usually in the account info there should be a link for verification. Here’s a link to the verification page for Cryptopia, which was actually very hard to find. I found it with a Google search. Thanks James! Just submitted my level 2 verification. I’m waiting for level 2 & 3 approvals on Cobinhood as well. Thanks… I did my honeymoon in Austria many many years ago. Thanks for sharing this great confirmation dream Sathya. I saw it going to $62.25, but I like your numbers much better. I believe God will continue confirming these things so we can know with greater confidence. I have also been watching electroneum dropping down the top 100 list of cryptocurrencies on coinmarketcap. When I started watching two weeks ago, it was listed as number 45. It has been continuously sliding even though the price per electroneum has risen slightly from 7 to 8 cents…This morning it is number 70. That means it has dropped a full quarter in the top 100. Perhaps this placing is also something to watch. When I invested in electroneum, the Lord showed me the throwing of a little stone into the ocean and how it sinks right to the bottom. Then I saw a huge storm and big waves but it was only affecting the upper part of the waters. The place where the stone lay was still and quiet and safe. I am not sure if this represents the huge turmoil in the markets as bitcoin starts crashing and electroneum being so far down below on the top hundred that it is hardly noticed and the investment remains safe and undisturbed until the moment the Lord chooses to give it resurrection power…. still asking daily for wisdom in very unfamiliar territory. Last night as I went to bed, I had a flash vision, more like a 2 second video of that same stone beginning to rise. The water around it had light penetrating it but it was still very murky. This morning when I woke, i checked coinmarketcap and ETN has risen 45% in one day. I too asked God about this crypto also before I read Christopher’s dream. It stood out to me. After Christopher’s dream I asked again and happened to fall asleep on the couch shortly afterward (unusual) and had a dream hearing people talking about Electroneum. I’m not familiar with a lot of terms in this area but people were describing how this is an “excellent Hedge Fund”. God often speaks to me with words I do not know. What colour was the stone? Thanks for sharing this new dream Christopher. I agree with your decision to get back in. The degree of difficulty for putting these numbers into the proper sequence is too hard. The only numbers I have seen that are still unfulfilled are either much higher, 66 cents and 33 cents, or much lower, 3 to 5 cent range. We might not see the lower numbers again until after the crash of the third wave, but even if we see a drop, we have a lot of confirmation of higher numbers, including your 51 cents and Ed H seeing 25 cents. So I think the safest way to reach the top is by getting in and patiently waiting for it, even if it drops lower than where we got in. Christopher, you pretty much confirmed my plan. What I intend to do for now is to hold onto Litecoin at coinbase, besides what I already have as ETN, and when ETN hits close to 66 cents, or Litecoin close to $800 or VERI plateaus at $535 per Phanuel (maybe indicating imminent crash), I will sell the Litecoin for dollars in the coinbase wallets. When ETN hits 3 to 5 cents, then buy Litecoin again at coinbase and then transfer to cryptopia to buy ETN. This is how we can actually win during the crypto crash. Marcio, I like your strategy. But if the crash in cryptos results from a large number of the exchanges going down (according to Christine), how can we be sure if any of our cash or crypto holdings in our Coinbase (or other exchange) wallets will still be there once the exchanges go back online? Thanks. Fab 4/5 is no more….It’s “Heavenly 8” ..please see post above. I think VERI plateau is forming so very low ROI at this point. Litecoin is better at this point. I get what you are saying (and it is possible), but the issue I have is the plateau graph at $535…The graph currently forming on trading view is similar to the graph I saw. Christopher, when you saw ETN drop to 3-5 cents, did the price seem to linger in that price range for a while, or did it rebound quickly/sharply back to the price it was at prior to the crash? I’m wondering if there will be enough time (e.g., several days or weeks) for us to accumulate a large position of ETN at those extremely cheap prices, after the crash has taken place. Thanks. Dear Corey, I didn’t see amount figures for ETN, I’ve only seen 51 cents so far. My dream was a huge wave rising up in the ocean and crashing down representing ETN prices (called the third wave) and the fish from the bottom of the ocean (low prices) being able to be fished after the wave crashed. I don’t know how long the low prices will be available. James saw 3 cents and saw 5 cents and believes it could trade between 5-6 for some time. My plan is to get out before what I believe is a crash and accumulate ETN and the low prices and hold for long term. May God bless you. I already mentioned in another comment to you James but just to clarify for anyone who sees your below comment. My BCH Bitcoin cash dream going to $100,000 (AUD, or 70k USD) is mid/long term and is probably after a market crash/correction that the Lord has shown to me. But yes a great coin to own in the mid/long term. Thanks for sharing your new insights regarding Litecoin. Putting it together with what Jim Reeve saw in his recent dream, it sounds like Litecoin will increase rapidly after the crash of Bitcoin. However, your dream about Bitcoin Cash (BCH) rising to $100,000 Australian dollars per coin indicates it will be a great one to own prior to the crash. It took Bitcoin 4.5 months to go from $1800 to 20,000. Ethereum is presently at 1,300. So, given that the markets are capitalizing faster now, I would guess around 3 months. As soon as it is clear that Ethereum will bypass Bitcoin as top dog, (or ‘the Gold standard’) I think confidence will be sucked out of Bitcoin and it will crash like a stone. peter Thiel tried to prop it up the other day, so I think the writing is on the wall for the old behemoth of cryptos. I’ve had March on my brain for some reason. In my juggernaut dream there were two. My friend Mario pushed his juggernaut back over a hundred metres with a little push,like Superman. I wondered what Mario had to do with this, but the name comes from Mars…i.e. March. So if I had to interpret it, I see a bull market til March, when something changes, e.g Bitcoin gets pushed back. March 11 will be the 7th anniversary of Fukushima. 16th is Hebrew New Year..
Maybe March is when VERI plateaus at $535 per Phanuel. I have not seen anything prophetically regarding a crash in Bitcoin, just relying on the recent word from Sundar Selvaraj and others who have seen it crashing. Sundar believes it happens in 2018, but I have not heard anything more specific than that. By the way, this Saturday I got up after seeing my phone time at 11:11 AM. When I went to bed really late, ETH (not ETN) was at $1111. This morning, I decided to get up and thought, no way is the time going to be 11:11, but it was again 11:11 AM! I saw ETH price and it was still at $1111 and change. Other Z3ers have seen this also. I read something about meaning awakening and ascension. I don’t know. Great! Great! Great! Thanks, Richard. I also went to bed last night at 11:11 pm. I have been seeing 1111 for 10 years! I saw it a lot for a few years about 10 years ago, then it kind of dropped off. Now I have been seeing it again quite a bit for the past year. I have been seeking God on what this means for a long time. There may be more than one meaning, but recently I heard a message on it meaning transition (resurrection is also a transition) to a new level that really spoke to me. See Deut 11:11, Isaiah 11:11, John 11:11 and Rev 11:11. Thanks Kirk. Those verses are really great and I think their message is what the Spirit intended for us now. God bless. James had that dream about price going to $60, it was the second post about Electroneum on Z3. Last night I had a dream of seeing the price at 51 cents, I don’t know when etc. Christopher, thanks for the update. It was a good thing for some of us that LTC sell orders were not processed on cryptopia due to some “pause”. I am not gifted like Phanuel to take profits at certain prices. I think that if we accumulate ETN at prices below about $0.20 then we should hold our ETN on rises and buy more when below 20 cents, or some sensible threshold price. Then sell them all at above $60. Thanks Marcio, that’s pretty much one of the best approaches. Yeah my trading has not been the greatest (risky) and that is a safe strategy to hold ETN coins, accumulate more on dips or while still cheap. Seeing 51 cents last night doesn’t mean price will turn there, just that it will reach there. So holding until $60 is a good choice. God bless. Christopher, many if not all of us in the z3 community who have traded have all gone through those growing pains and still do about missed opportunities of what could have been. So its okay. Jamie from Austria posted the other day that buy and hold strategy is what he’d recommend. One other thing I’ve noticed about many of the numbers revealed prophetically over the years here are rarely turning points but mere markers along the journey. There might be a few exceptions here and there but that is primarily how the Lord has led us here on z3. As James’ said, turning points and sequence are hard to time perfectly. But God is faithful to give us more opportunities ahead. I’m sure they’ll be more opportunities he’ll be revealing to us. Satya shared a dream of her husband seing ETN as high as $160. If the numbers are literal, it is just mind-boggling because the market cap would have really skyrocketed. Though mind-boggling, this type of performance is not unheard of in cryptos. Bitconnect was at $0.16 last January and 12 months later, it’s now over $400. So its not impossible. The only question is how it might fit into the short term frame which is what you shared you were shown. Hi Jemba, when I read your post where a woman named Satya shared her husband’s dream of seeing ETN at $160, it reminded me of a recent flash vision where I saw 3 green capital letters with $134 dollars. I remember for sure the 1st two letters were ET… $134. I initially thought it might be an ETF for the stock market, because I knew nothing about ETN, and I was not even trading crypto’s, but shortly after having the flash vision Christopher put up his dream about ETN. Then when James posted about seeing ETN just over $62, I started thinking about the vision again. I have prayed to see it again, if it was for ETN but have not received anything else as of now. I also had a very vivid dream that had James in it, with many people who I believe were the Z3 community, we were all on this treasure hunt and started digging up these beautiful rare red diamonds out of the ground, there were so many I couldn’t count them, but everyone was very excited. I still don’t know what these dreams mean, but know when they are from The Lord. I’m not saying the dream with the green ET.. $134 is for ETN, because I honestly dont know. If anyone understands these dreams feel free to comment. The dream of people finding the rare red diamonds was a blessing, because I believe it was for many here who have suffered losses, but The Lord is going to restore back many times over what the devil has stolen. Thank you for posting, I was moved in my heart to post this. But since you’re mentioning red diamonds, this morning before I logged into Z3news, I was ploughing through the cryptomarket searching for a coin that a Z3’r mentioned not too long ago. It’s called the Redd coin (RDD) and it is currently trading at 3c. Perhaps the red diamonds in your dream could be about this coin in addition to ETN? I agree with you 100% john_nz and thank you for the post! I believe we’re on the threshold of a serious wealth transfer! “…I will RESTORE…” saith the Lord! Stu, since you mentioned FAZ, I wanted to say that The Lord showed me it will go to $46 and I also saw it at $69, but I do not know when that will happen, I was in FAZ some time ago, and sold it, realizing it would take longer than I expected for a crash. Your welcome Stu, when you mentioned ReddCoin I almost fell out of my seat, because a few days ago, I had text a friend from work, and asked him what he thought about ReddCoin, because he buys crypto’s, and I’m a beginner at this crypto trading. He didn’t text me back, but I saw him yesterday, and told him I had text him about ReddCoin, and that it had really soared up in price in the last couple of days, it was under a penny a couple of days ago. You may be on to something, I was thinking about buying some last week and again yesterday. This could be a confirmation, we need to pray The Lord reveal what to do. God bless you. Maria from IWI recommended Redd a couple days ago, she said the Lord revealed to her it would go to $5 in a short time. Thank you Karen, sounds like a lot of confirmations, I believe that’s 3. God bless you. Confirmation done, this is great! I was in FAZ too (a horrible experience) but I saw it at $59 in a dream last year! God is going to more than restore because He’s a JUST God! We must pray for wisdom (when) we’ve taken the spoils from Egypt. I wonder if James will accept cryptos or stick to fiat for the tithes and offerings? Hi Karen, I tried to find the IWI site but was unable to. Do you have the website address ? Thanks ! Thanks for all these Reddcoin confirmations. My dear brother Ed H mentioned it to me some weeks ago when it mooned over 300%. Anytime I look at it, I’m drawn to it. It one of those few coins I’m drawn too. I just crunched some numbers and a good entry is 0.028 cents. Its going to triple from here. Dear Jemba thank you for that. Yeah turning points are difficult to predict, even when given numbers by the Lord. I will be more cautious about this. You are right these numbers are certainly not unheard of in Cryptos. My dream was that the coin would do very well in a short time frame, but not necessarily that it would reach $60-100 in a short time frame, though I believe it will be relatively short. I didn’t see numbers myself in my first two dreams or the wave dream, the first number I saw was last night in a dream of 51 cents (felt like just a checkpoint or marker going up past this price, which to me felt like I should get back in, and I did). But in my first two dreams I felt it was going to be at least multi dollar in a short time frame. I believe this will be fulfilled. Beyond that I’m not sure on the time frame, but I still believe it wont be that long. I wouldn’t guess what the price would be in 6 months to a year, potentially even sooner these prices could be fulfilled. We will see, just wanted to mention that. The Lord will raise this coin exceedingly on His timing, but I believe it is going to be quick. May God bless you. I appreciate everyone sharing their opinions here. I had a buy order for LTC/ETN they didn’t get filled. And now the price has doubled so quickly and trading for that pair paused. Had some regret that I didn’t act sooner. Hoping it will dip down again, but even if not, anything below a dollar is still low if it eventually gets into the double digits. Blessings to all. Yes. I was so cross with myself for not taking Ethereum at 40 cents that I refused to buy it a 2 dollars…lol. I actually did laugh out loud when I read that 🙂 I suppose I’m putting extra pressure on myself because I can finally see a light at the end of the tunnel for getting out of debt. If it weren’t for the Lord’s leading I would never have considered getting into crypto. So I’m thankful 🙏. In Jesus’ name, let us all be free of debt and prosperous to accomplish His will. Don’t feel bad Cornelius, I was told by someone to invest in BTC several years ago. I thought it was a scam, LOL, I guess it’s hard to teach this old dog new tricks, I’m very slow to getting around to doing new things. I kept my old flip cell phone for many many years, as a matter of fact, I just bought my first smart phone 5-6 months ago. I remember seeing a YouTube video of a Pastor saying, let me introduce you to America’s new God, and He held up a smart phone in his hand to show it to the church audience. If you are planning on buying ETN (Electroneum) as an investment of sorts because of the prophecies people are giving us and not planning on full fledged crypto trading thats fine as I did as well but if you aren’t going to trade past buying ETN as an investment then please…please…please… did I say PLEASE… create a ***NEW** Electroneum paper wallet and transfer all your ETN back from cryptopia to that new PAPER WALLET. Then put it in a safe just like and stock or bond certificate investment. Don’t leave it in a cryptopia wallet. They are a major hacker target and eventually it’s going to happen. every time yu buy more crypto of any sort, create a new wallet and paper is best if possible. Be safe folks and God bless. My personal view on this especially for those starting out is that managing your own paper and desktops wallets can open you up to more risk of losing your coins than leaving them with a reputable exchange. Personal PC’s are more prone to failure and hacking than sophisticated exchanges. I hear so many stories of people losing their coins to mismanagement. If a massive systemic hack occurs again as significant as MtGox then nobody is safe anyway. All coins even those in paper wallets may well lose most of their value following the inevitable panic sell off. Established exchanges have moved on significantly since MtGox while personal PC security and personal human error has not. Can you please give us a heads-up as to how this is done? I created a paper wallet last week by following these directions, step by step. Then this next instructional article below for checking to see if your coins made it to the paper wallet was also very helpful. CPJ gotcha covered below. just make sure to use a new wallet each time you make a transaction and when finished making your transactions, create a paper wallet and store all your coins there. A paper wallet keeps your coins from being electronically accessible and never use the same paper wallet twice. The problem I have seen using the ETN paper wallet is the high difficulty in getting the ETN back out. There are so many steps that it would be too difficult for too many of us to do without mistakes. Did you go to https://my.electroneum.com? It is pretty straight forward. What I have noticed with cryto-currency exchange is a the fees. You will pay a small fee for converting back and forth but it is a small fee. There are lots of brilliant people that are just technically challenged. I wished they had a place for people to practice all this stuff. BTW, I have been a programmer for over thirty years and I too found this stuff difficult at first but it’s Really more time consuming than difficult to learn. Thanks for the encouragement. God bless. Joe7, that sounds like Solomonic wisdom. Split it in half. 1. COB… is consolidating at .50 cents for the next ramp up (chart and prophetic) which is over $1. 2. ETN… I think ETN is consolidating at .17 to .19 next resistance is 0.33 (chart). 3. BTA — had an expected pullback to 0.90. I think It’s heading to $2 (chart). 4. LTC —- $800 will soon be fulfilled (prophetic) . But this is just the appetizer. Ltc is going to the moon literally (prophetic). It is going over $1000 ( chart). It should break the next trendline between now and Jan 11. 5. The LSK blockchain is super fast. It makes ETH look like a turtle. Do you see a correction for LTC before going to 800, or would you still buy at these levels. I think LTC is mooning like tomorrow (figuratively). The Lord told me yesterday “you need more Litecoin “ … so I added more. I looked at the chart….$1000 and above on this next move. It confirmed the prophetic word. have you tried the COB exchange? The crash will be tricky. As you know the exchanges will probably go down and most people won’t be able to get the cheap prices. This always happens….Coinbase goes down,..now Gemini goes down etc etc. I think it’s best to use profits to buy silver now and also to pay down debts. APmex accepts bitcoin. So use exodus wallet to swap other coins to bitcoin and send bitcoin to an APMEX link. I think it’s best to always keep a certain amount of some tokens (in your private wallets) no matter what. Also keep some cash on the exchanges to try to get the chaeper prices. This way you don’t miss out on anything. How many COBs did you loose? We signed up for Gemini last week but they are still working on the validation. what is your MEW public address….will send you the COB you lost…..yes Im holding XLR. sent a test…did it make it? Phanuel, When did you place your limit order to sell cob on Mercatox? I tried to obtain a Cob deposit address tonight on Mercatox and the address was not available. I checked with Reddit and it appears that Mercatox prefers Bitcoins and tend to manipulate the incoming flow of certain coins. Have you had any issue with Mercatox in the past ? Sonia, I’m having the same issues. There’s no Cob deposit address in Mercatox so I still gotta figure out how to liquidate some of my cob. Etherdelta is the only other exchange I believe. Here is the information to withdraw BTC off Mercatox. There is a sliding scale where you can increase your fee to improve the speed and likelihood that your BTC is transferred to another address. Currently minimum of $7.36 or maximum of $73.68. You can select your fee per transaction. The speed of confirmation of the transaction in the Bitcoin network depends on amount of fee and current network conditions. Transactions with low fee can never receive confirmation on the network. The higher the fee the faster the transaction will be confirmed. Minimum fee 0.0005, Maximum fee 0.005, Recommended fee per tx 0.001. I transferred some BTC into Mercatox and the proceeded to buy a few COB coins. After my wallet was funded with COB, I tried to deposit additional coins and still received a, “not available” message when trying to get a deposit address. JR…was a logical suggestion and worth a try, but at this point not working. So…it appears that the fee to withdraw coins is 15 COB’s!? Current price $1.77 so a fee of $26.55 to withdraw 30 COB’s!? That is scary if it stays at 15 COB’s…very expensive now….what happens when COB moves up into the $10+ or higher range? I played with it a bit and the fee did not change whether I put a withdrawal of 30 or 1000 COB’s…fee stayed at 15. I have not tried to sell COB’s and convert to other currency, so I do not know what the fees are for those. I’ll just keep these on here for now. NOTE: LTC wallets are all under a maintenance and you cannot deposit or withdraw right now. That is a good suggestion. I’ll try that out shortly and report back to the board. I’m thinking I saw a minimum purchase requirement, but may be confusing that with one of the other exchanges. Regardless….I’ll try the process. Thanks for the idea. Blessings! Same here…when I click on COB to get a deposit I get a “not available” message too. They may be overloaded!? I saw the price go up to $4! I almost sold a batch at that price. Mercatox is not my favorite ..it had issues in the past …it seems better now. It looks like you can sell COB on Mercatox at $1.75 anytime. just leave it right there..I’m sending the rest. Phanuei Heather is gone right now. I checked etherscan.io with the public address key but it isn’t showing up yet. Heather you have to click on show tokens and click on COB. This IS Heather -Im Back!!! WE GOT OUR 1 COB AND HAPPY DANCIN!! WHOO HOO!!! I sent the rest. I can see you received it in your wallet, so you don’t have to say anything here on Z3. The Lord encouraged me to look after you ..the first day you asked about cryptos. check tokens where? on the myetherwallet page or on etherscan.io. Checked etherscan but will go check on myetherscan page I am so very not good at this! Once I learn it makes sense but the directions and what happens just doen’t seem to mesh, lol! on the mew page …on the right close to the bottom…below the ETH balance…there is Token balances…its say show tokens. Thanks very much for The fast reply brother. Thanks for all you bro, it’s greatly appreciated. I felt like God really wants us to pray for electroneum and some of the others God has highlighted for us to invest in. Like Chris said, the finances raised through these investments will be for warfare purposes for His Kingdom. That means that satan and his kingdom will do whatever he can to make these companies and projects fail and he will try to attack those who are in these companies just like he is trying to attack those who are investing for God’s purposes. There is going to be increasing warfare in all this. I felt like God was warning us all to pray for these people, projects and companies and also really keep ourselves, our families and eachother covered in prayer because as these things really start to kick into fear things will heat up. Part of the delay in the rise in some of these, is because God is preparing us and all these things in His timing and we need to be prepared. Like it has been talked about in the comments already regarding setting up preemptively our exit strategy and resources so too we must premptively prepare ourselves spiritually during the lull and waiting period. Praise God!